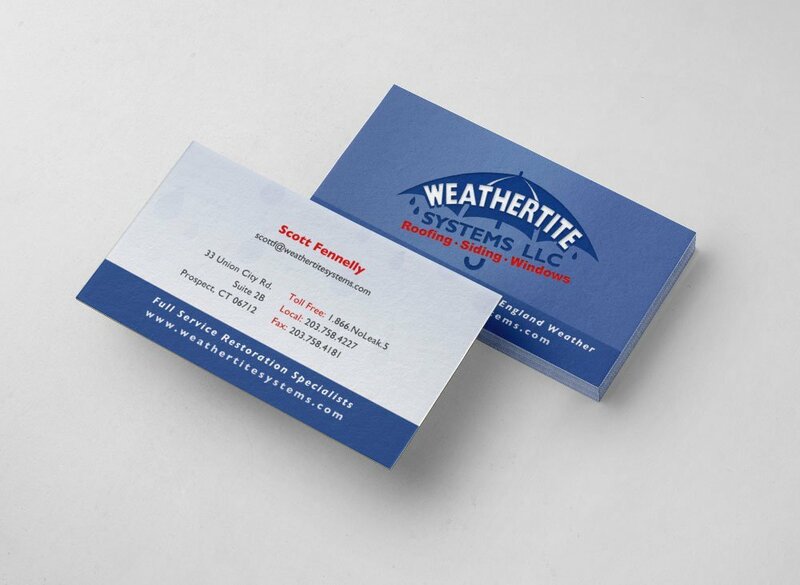 When they came to us, Weathertite had a logo, but needed new marketing materials and a new look. 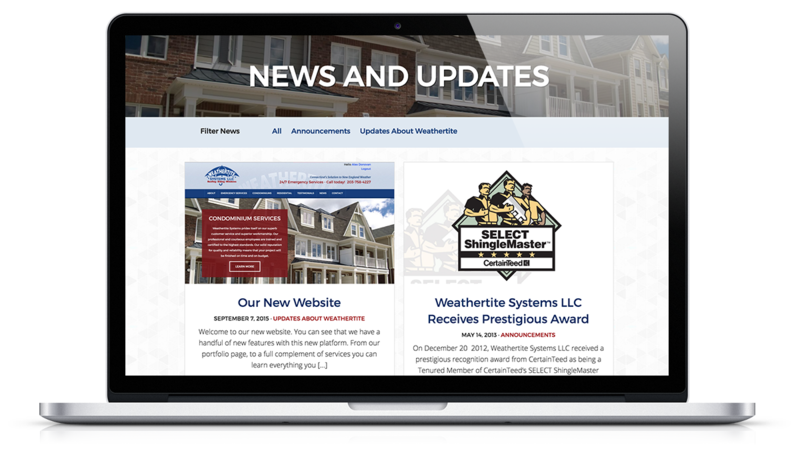 We used their long-standing and well-recognized logo in a new way on a fully responsive, mobile-friendly website which includes a client portal login area. 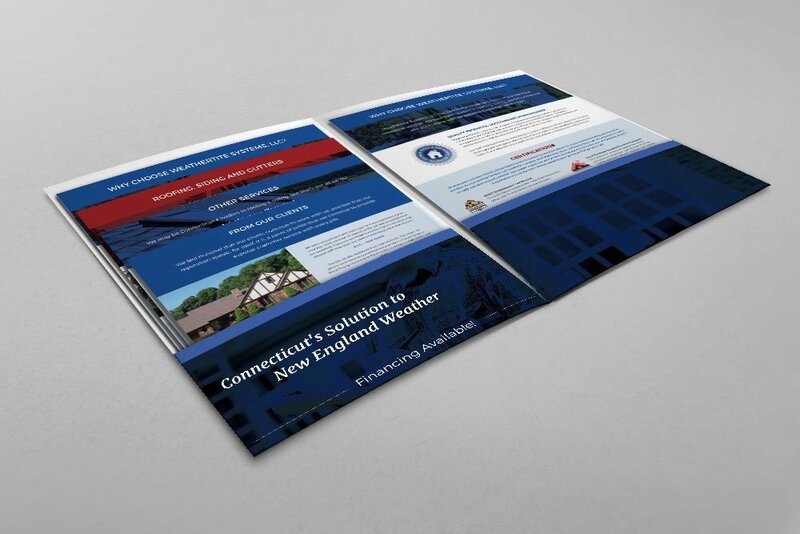 We also created an entire suite of marketing materials and a tradeshow booth. Recently they’ve begun to expand a lot, and have a lot of new ideas hatching! 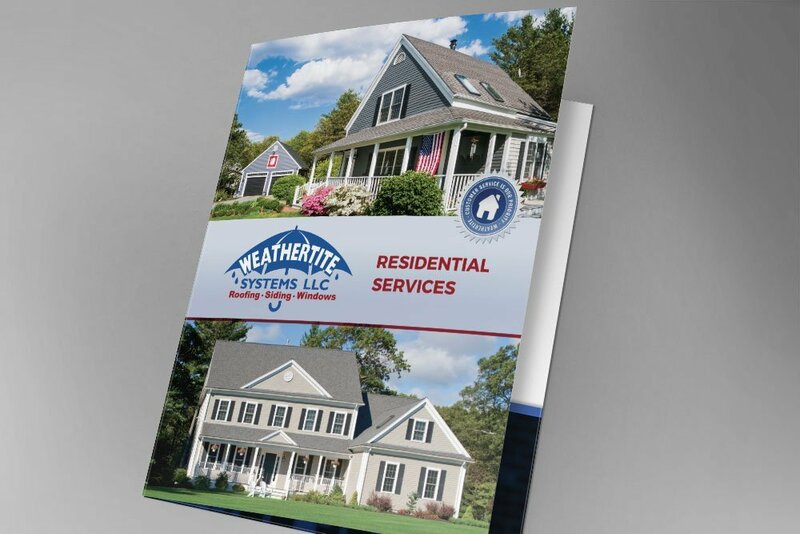 Besides being really really nice people, they do an amazing job for their customers–roofing, siding, windows, etc. 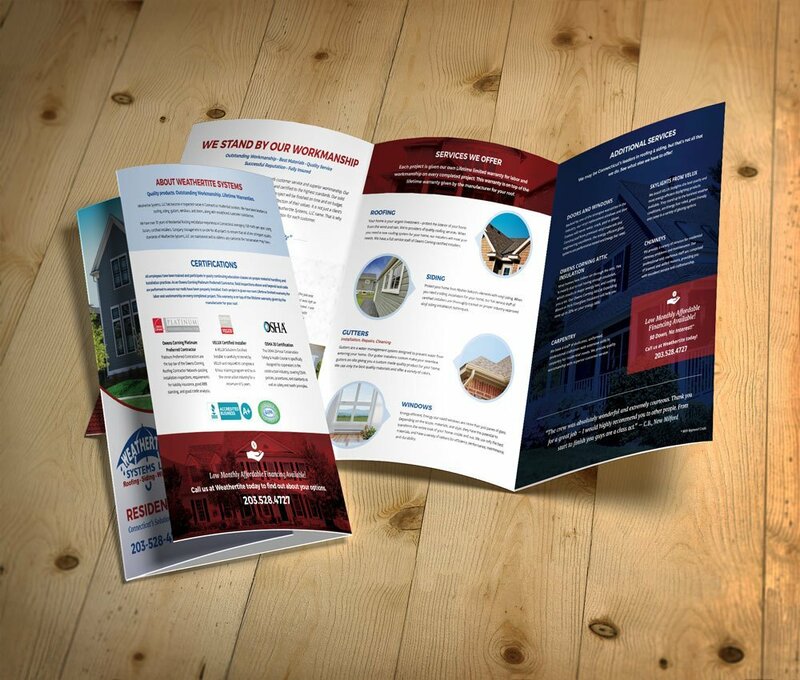 They approached us to design a new brochure for their Residential Services. 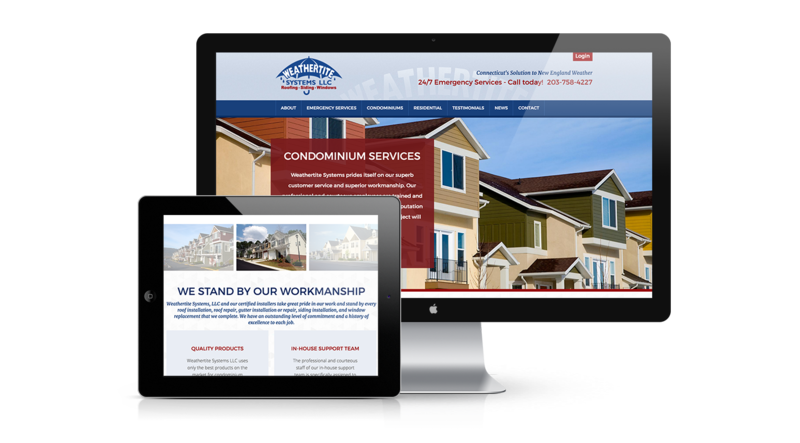 It showcases what they can do, and their customer-service oriented attitude.